The song this week, "Life Is A Highway" by Tom Cochrane, is inspired by last week's episode of The Office, "Employee Transfer". It is predominately featured throughout the episode, to highlight the distance Michael, Holly, and Darrell have traveled. It is the prefect song placement as it is the kind of song that gets annoying really fast but it's nice to hear every once in a while. 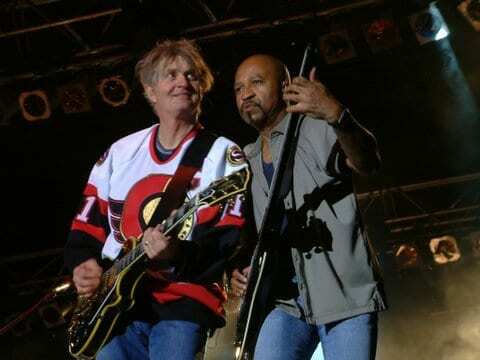 "Life Is A Highway" was released in 1991, propelling Tom Cochrane's career into stardom. Unfortunately, this was his only single to break into Billboard's US Hot 100, topping out at #6. Although his popularity faded fast in the US, he did see success throughout the '90s in Canada: charting 13 other singles on Canada's RPM 100 chart. The catchy tune was not surprisingly brought back to life in 2006, when the Rascal Flatts covered "Life Is A Highway" for Disney's animated movie, "Cars". This version also did well on the Hot 100: bolstered by digital music sales, it reached #10. The music video is pretty classic early 90s: conjuring up images of scorpions, black leather boots, and tight jeans. It features a guy wearing a wife beater driving down, shockingly enough, a highway. The video doesn't have much substance but be sure to check out 2:37 into the video when the guy wipes out running in the mud.